Yes, we want Yamaha to produce this sports car! 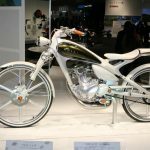 Of all the vehicles shown at this week’s Tokyo Motor Show, Yamaha’s Sports Ride concept car is perhaps the most intriguing. It’s notable because it might signal the emergence of Yamaha as an automobile builder and because of its innovative carbon-fiber chassis that results in a weight claimed to be just 1,650 lbs. Our initial reactions and first photos are seen in the link below. 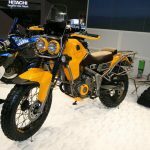 Today we’ve been blessed with new photography from our friends at AutoGuide.com, who are on the scene in Japan and who produced the video below. Keep scrolling down to see exclusive pictures and further observations. 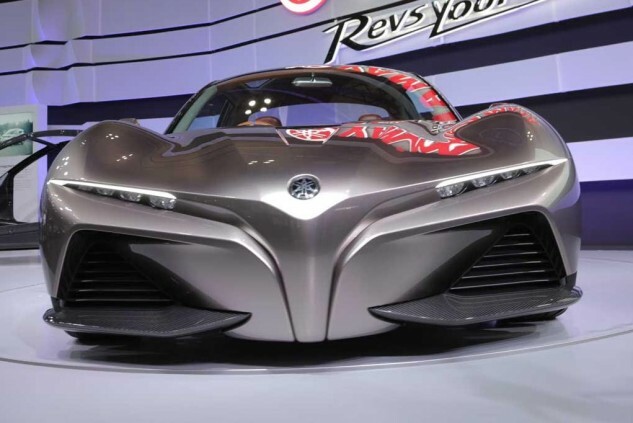 The low nose and broad haunches are clear indications the Sports Ride has its engine placed behind the driver. Aerodynamic optimization starts at the front end with large inlets presumably bringing cooling air to front-mounted radiators. Also of note are the intakes ahead of the rear wheel in an aluminum rocker panel. 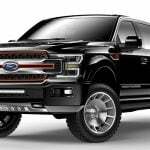 The relatively tall height of the cabin may indicate the Sports Ride is more than just a concept, but rather an advance look at a production vehicle that will need to accommodate actual humans. 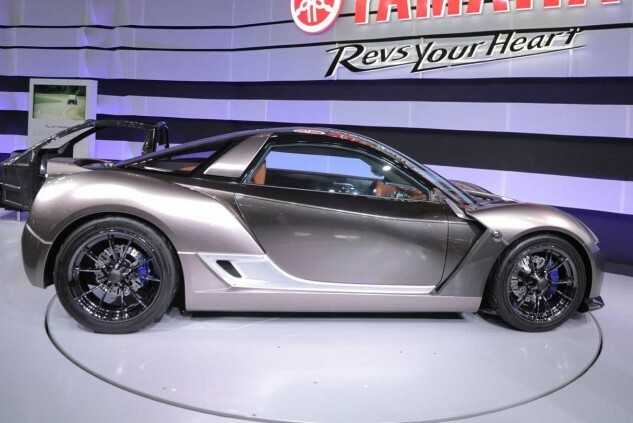 Note the car’s carbon-fiber frame in the background. 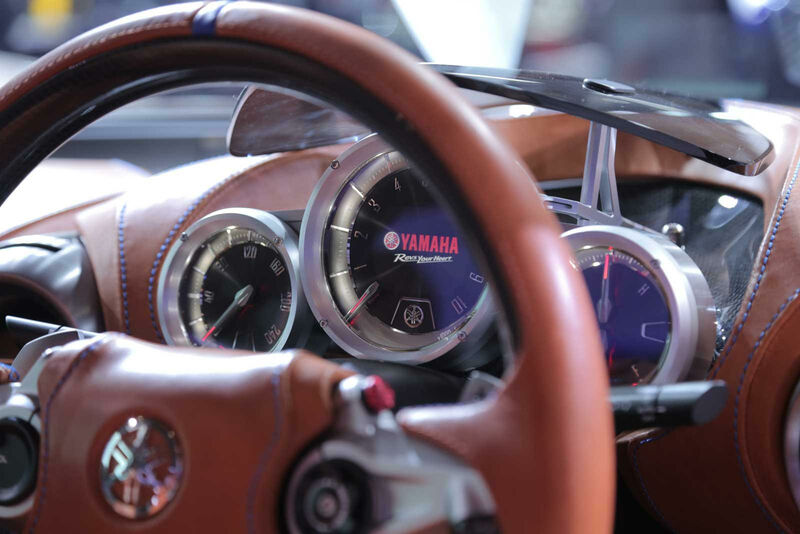 The Yamaha Revs Your Heart logo is drawn on the center of an analog tachometer that has an upper limit of 10,000 rpm. 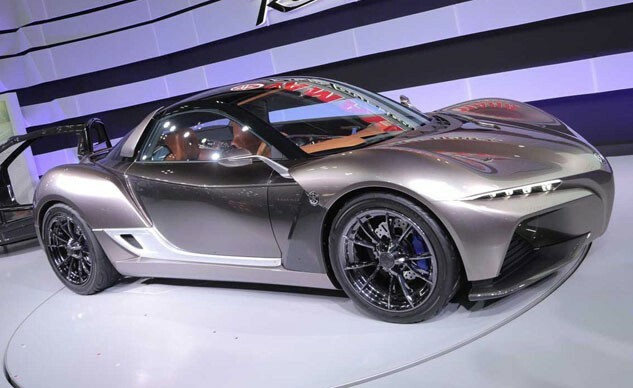 Disappointingly, another view of the tach shows a 7500-rpm redline, which probably indicates a run-of-the-mill four-cylinder car-based powerplant. A 250-kph (150 mph) speedo likely indicates a top speed slightly lower. 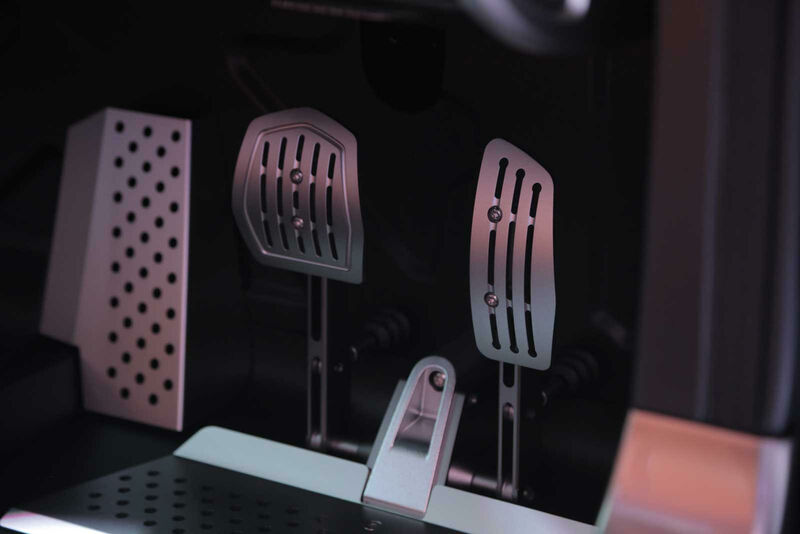 The footbox shows lovely aluminum pedals hinged on the floor like a Porsche 911 (or VW Beetle). 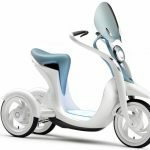 Fans of manual gearboxes will bemoan there are just two pedals, so the Sports Ride’s transmission will operate without a clutch pedal. 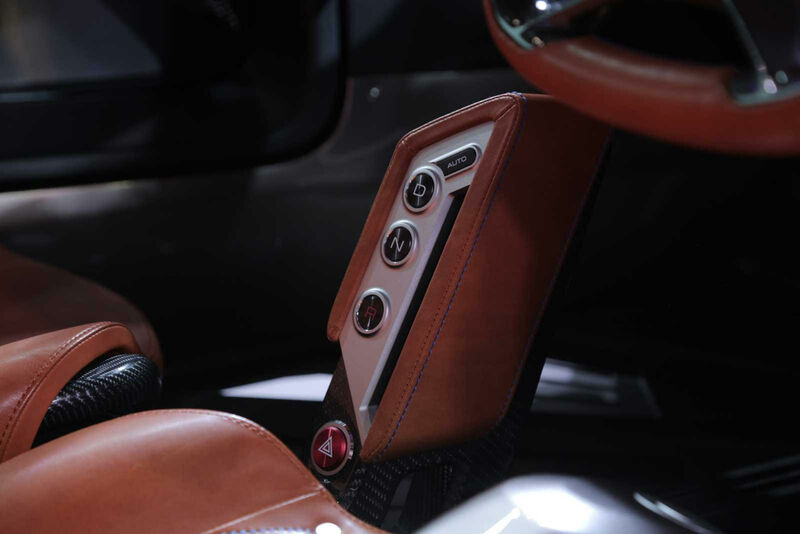 Here’s the confirmation the Sports Ride will not have a manual gearbox. 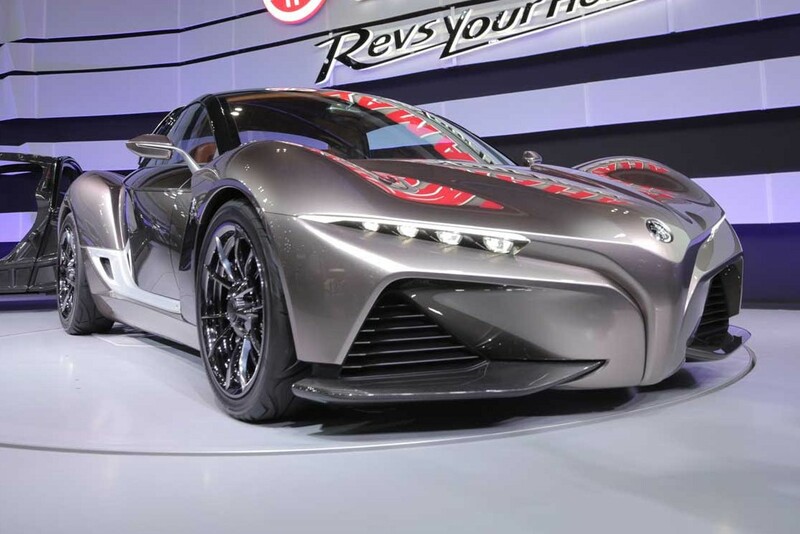 We’ll presume there’s a paddle-shifted dual-clutch transmission inside. 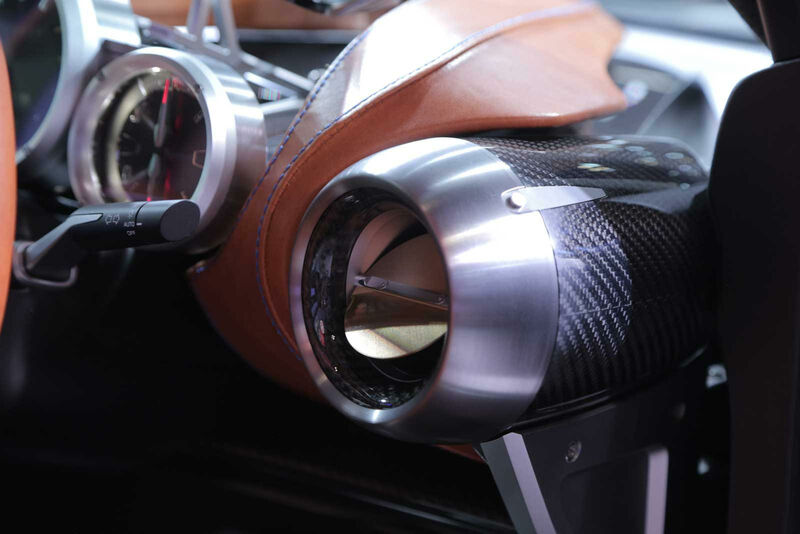 The Sports Ride’s dashboard vent shows impeccable attention to detail, with ductwork built from carbon fiber and the outlet valve appearing identical to a throttle plate. Tasty. 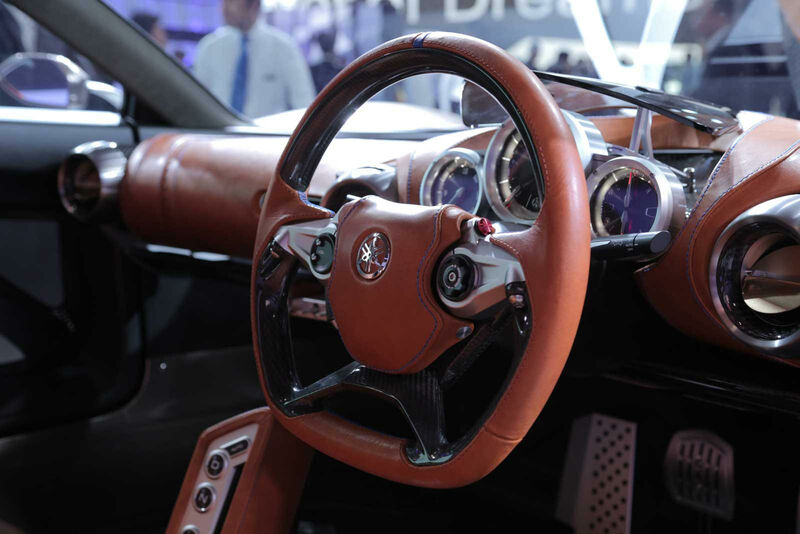 A flat-bottomed carbon-fiber steering wheel has what looks to be a motorcycle’s fork controllers on its spokes, but the left side is merely a volume adjuster. Note the dearth of fabric and carpeting in the interior, helping keep weight to a minimum. 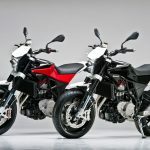 Yamaha has yet to indicate what engine might be sitting ahead of those centrally placed exhaust outlets, but the Sports Ride’s relatively narrow rear tires (225/45-18) may indicate horsepower levels below 200 hp. 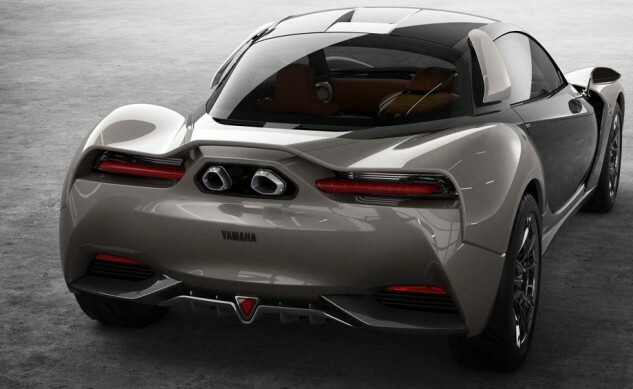 That might not sound like much, but it would result in a power-to-weight ratio (8.5 lbs/hp) superior to an Alfa Romeo 4C or a Polaris Slingshot, both in the 10 lbs-per-hp range. 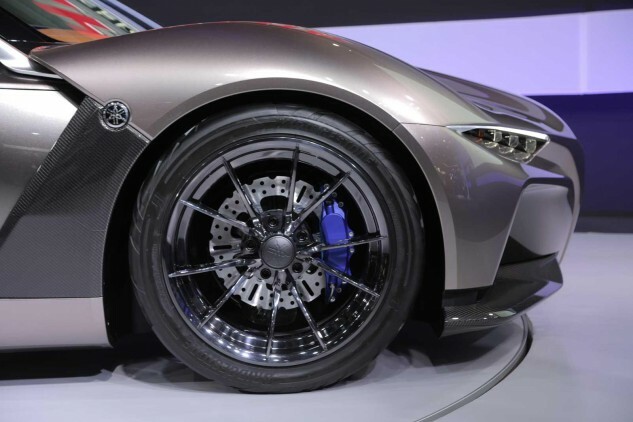 The front tire appears to be a 200/45-17, which is relatively skinny for a sports car. Also note how much area there is outside of the small-looking brake rotors. The fenders terminate with air outlets to exhaust air from the front radiators. 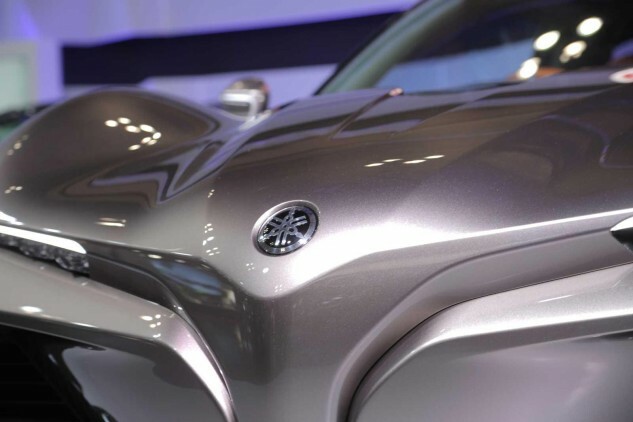 The Sports Ride driver will have a nice view of a curvaceous front fender framing a low nose. The large air intakes are underlined by prominent carbon-fiber splitter sections. Brasfield says the lines remind him of a curvier R1. 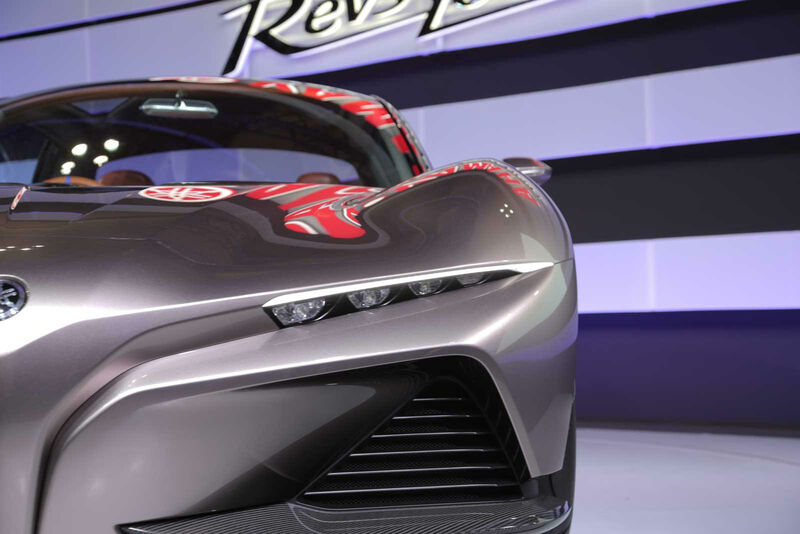 LED headlights are de rigueur on any modern concept. 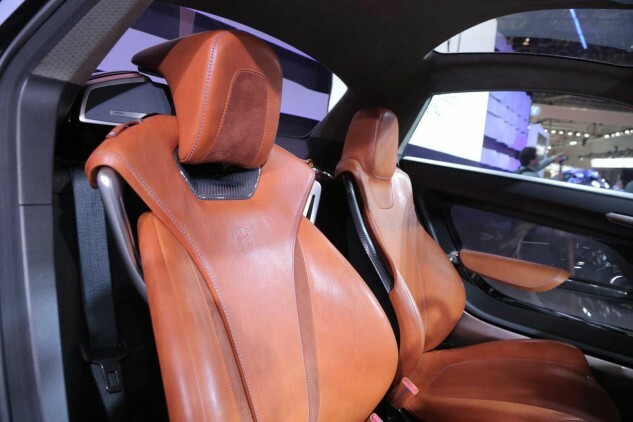 More fine attention to detail is shown in the seat covers. 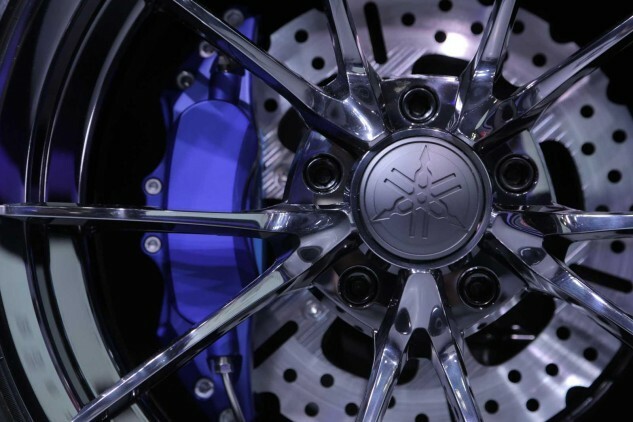 Petal-shaped brake rotor looks small inside 17-inch front wheel. 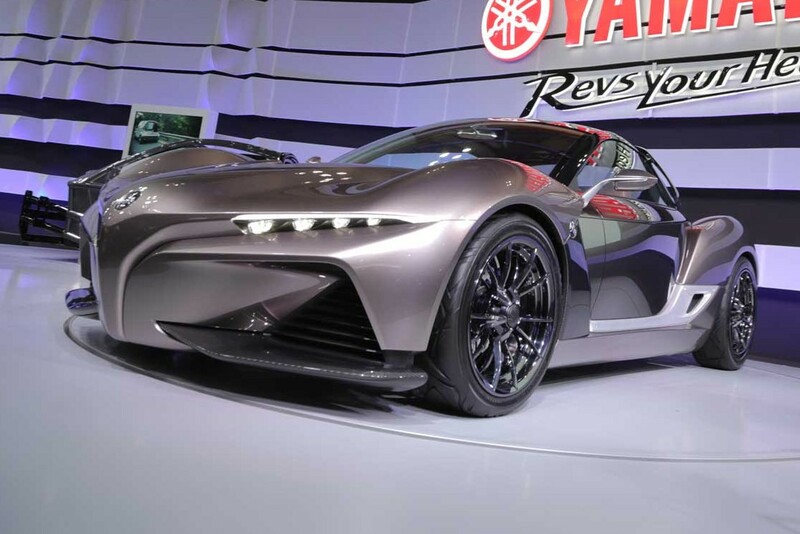 The Yamaha tuning-fork logo on the front of a car seems weird to our eyes, but we’ll withhold judgment until after driving it! Weighing less than 1,700 lbs and boasting a low center of gravity, the Sports Ride will surely be fun to drive if it actually makes it to production.